We are thrilled to be sharing this video of three different top pro pickleball serves in slow motion. 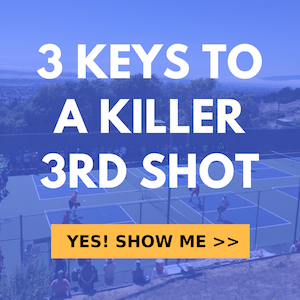 Even though each pro serving in this video has a slightly different style, pay attention to all the similarities that make each of these serves so great. Thanks to Tyson McGuffin, Ben Johns and Marcin Rozpedski for jumping on court with us and allowing us to capture this great footage of their serves to share with everyone.